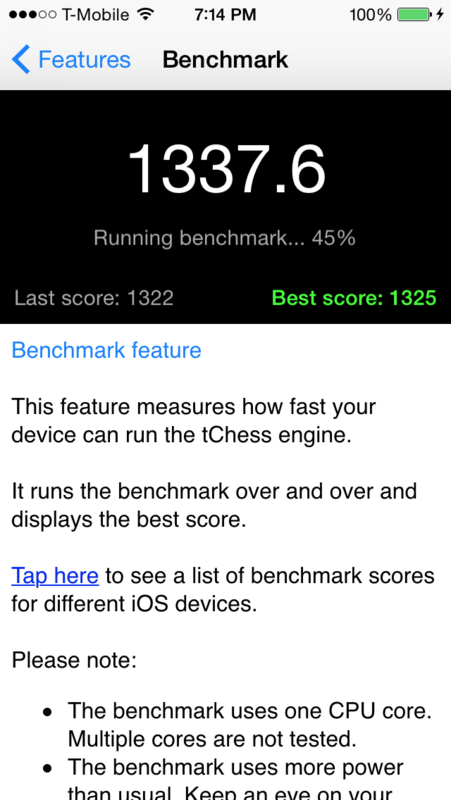 tChess has a benchmark feature that measures how fast an iOS device can run tChess's engine. Here's a table of benchmark scores for different iOS devices. 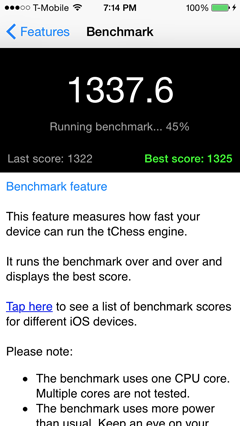 If you want to share a benchmark score, please e-mail tchessgame@gmail.com. iPad (3rd gen.) 413 1.8.5 "Yahoo"
* tChess's engine running on a 2012 Mac Mini (Ivy Bridge i7-3615QM) with Turbo Boost disabled. tChess is not available for OS X.